I sometimes get frustrated with social media. Let me rephrase that. Way too often, social media frustrates the heck out of me. One of the things that provides this frustration is the social media cause du jour. I often feel my fellow liberal leaning Facebook users get fired up about an injustice, well, at least until the next injustice. These causes are real, worthwhile, and necessary to bring to people's attention. However, it just seems people move too quickly to the next cause, and forget about previous causes. Unfortunately, some people like to complain without any intention of actually doing something. 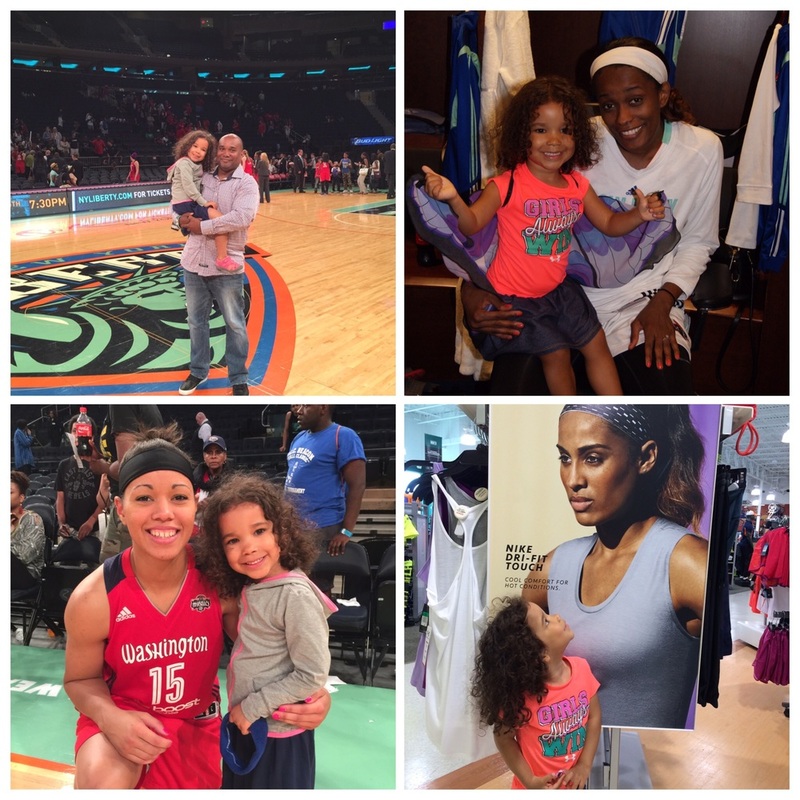 We love the WNBA and find ways to support the league and its players whenever we can. One of the latest causes is once again a really important one: the pay inequity in international soccer. Lots of folks were rightfully fired up when they learned just how unequal the World Cup compensation was for the winning U.S. women's team compared to their less successful male counterparts. I saw lots of folks posting articles and graphs that discussed this unfortunate inequity. But whenever one of these causes emerges on social media, I wonder just how committed people are to making a difference. It seems enough for most people to make these comments and not put their money where their mouths are. When it comes to women's sports, especially professional women's sports, I, as I have mentioned previously, am a strong supporter. So, what I have created here is a list of three, just three, easy things people can do to aid this cause. 1) Support your local women's teams: pro or collegiate. Or attend other women's sporting events. My daughter and I went to support the USWNT at their ticker tape parade in NYC. My family is lucky, since we live in New York City. We have several teams close by we can support. I have a been a long time supporter of New York City's WNBA team, the New York Liberty. The league is almost 20 years old now! In addition to the WNBA, most folks would be surprised to hear that there is a professional women's soccer league in the U.S. And guess what, many of the same players we all came to know and love during this year's World Cup play in this league! The National Women’s Soccer League (NWSL) is a nine-team Division-I women’s professional soccer league featuring national team players from Canada, Mexico and the U.S. There are also WTA (Women's Tennis Association) and LPGA (Ladies Professional Golf Association) events to attend throughout the year. If you live in an area that is truly devoid of women's professional teams, perhaps consider attending the games of a women's collegiate team. In addition, you can donate to colleges and designate the money to a women's sports team. 2) Buy apparel and merchandise. If you want to show support, buy Serena Williams apparel or a Skylar Diggins t-shirt or other WNBA clothing. Buy a U.S. Women's soccer jersey. Put your money where your mouth is because as we keep hearing the ability to create revenue is the reason for this income inequity. Follow female athletes on Twitter. Tell people about games on Faceboo. Post pics on Instagram. We live in a society that is dominated by social media numbers. If more and more female athletes have hundreds of thousands or millions of followers, their brands become more powerful. So, for folks who have already moved on, I want to remind you of this. We can't just sit back and complain. Activity brings about change. We can't just be fired up. Continue to raise your awareness and the awareness of your friends and family. Posted on July 21, 2015 by Christopher Persley and filed under Team Brown Gothamite, Ticker Tape Parade, NY Liberty, Real Strength, Why Fathers Matter, NYC Dads Group, Lean in together, Christopher Persley, Support Equal Pay, parenting, HeForShe, WNBA, Gender Equality, Canyon of Heroes, Dads and daughters, NYC, fatherhood, USWNT, Women's World Cup and tagged uswnt TeamBrownGothamite newyorkliberty realstrength genderequality dadsanddaughters ibelievethatwehavewon likeagirl fatherhood shebelieves leanintogether heforshe.